How sweet is the assortment of valentine's day favorites?! 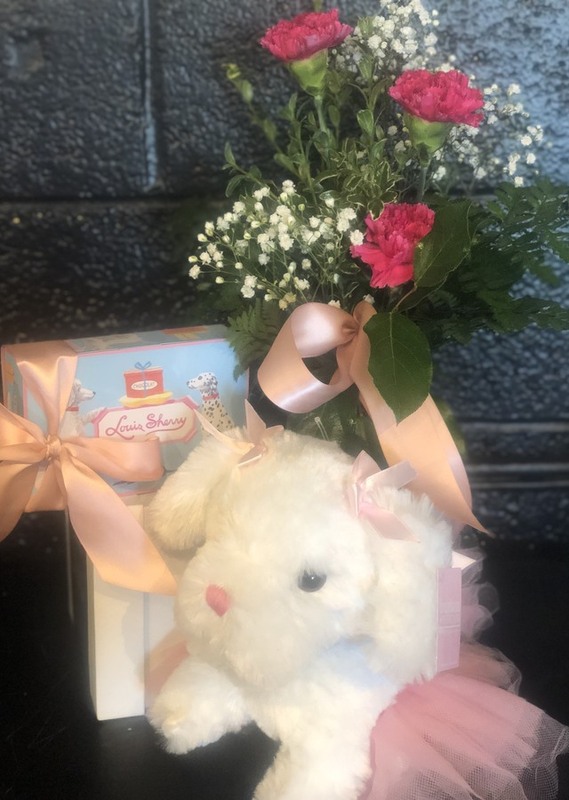 A super soft white puppy stuffed animal in a tutu, a box of louis sherry premium chocolates (with dogs on the vintage tin) and a petite bud vase of babies breath and carnations - for your dog loving sweetheart, your daughter or another special someone in your life! Need a matching one for your son? Call to place your order, we can make a similar one just for him!